The Montreal Canadiens have signed general manager and executive vice president Marc Bergevin to a multi-year contract extension through the end of the 2021-22 season. The Montreal Canadiens rewarded Marc Bergevin's efforts to make the Montreal Canadiens a Stanley Cup contender with a long-term contract extension. The Canadiens announced Wednesday they signed their general manager and executive vice president to an extension through the end of the 2021-22 season. The Canadiens have made the playoffs in three straight seasons under Bergevin's watch, reaching the Eastern Conference final in 2013-14 and finishing second overall in the regular season before falling in the second round of playoffs last season. 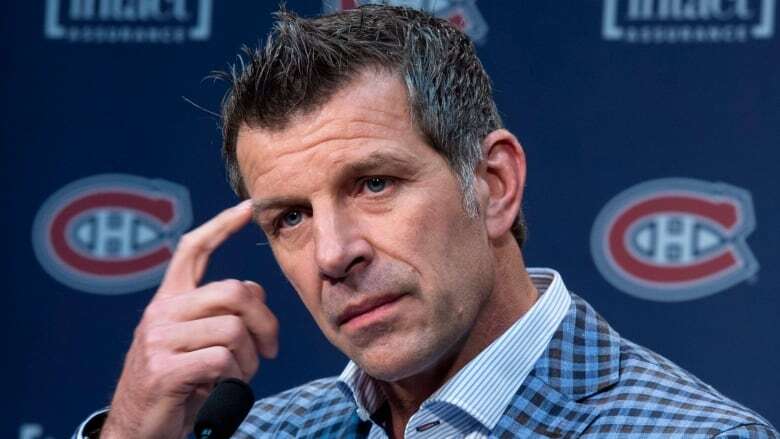 Bergevin joined the Canadiens from the Chicago Blackhawks organization on May 2, 2012, taking over a team that had only 78 points in 2011-12 under Pierre Gauthier. The Canadiens have posted a 141-68-25 record under Bergevin, ranking third in the NHL in wins over that span. "This new agreement brings added stability for our organization and particularly for our hockey operations," owner and team president Geoff Molson said in a statement. "It enables us to continue our efforts in giving our fans a winning team. "Marc is an excellent general manager who quickly made an impact in the league with his leadership skills and his ability to identify the needs and find the personnel to assemble a championship team." Bergevin, 50, an NHL defenceman with eight teams from 1984 and 2004, became a scout for the Blackhawks after retiring as a player. He was assistant general manager in Chicago when he was hired by Montreal, his hometown team, although he never played for the Canadiens. His strength has been in player evaluation. He got several of the Canadiens' core players under long-term contracts, signing superstar goaltender Carey Price to a six-year, $39-million US deal shortly after taking over the club in 2012. He also inked the team's top scorer Max Pacicoretty, now the captain, to a six-year extension at the bargain price of $4.5 million per season. Bergevin took P.K. Subban to arbitration before the 2014-15 campaign, but that ended when Molson reportedly intervened and the star defenceman agreed to an eight-year, $72-million deal. Forward Brendan Gallagher is in the first year of a six-year, $22.5-million contract, and defenceman Jeff Petry was lured back to Montreal with a six-year, $33-million deal after Bergevin acquired him from Edmonton at last season's trade deadline. He also filled out the offence with utility players Torrey Mitchell, Brian Flynn and Devante Smith-Pelley.